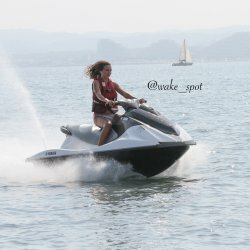 Jet Ski There are 7 products. Take part in the thrill of driving on water by renting a Jet Ski in the Bay of Angels. Even without a boat license, you can cut through waves with these powerful machines, reaching speeds of up to 80km/h. 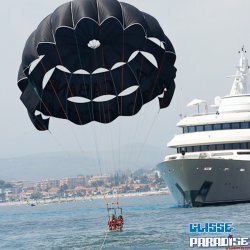 Between Nice and Antibes, on the French Riviera, Glisse Paradise offers nautical activities during your stay. And, the second passenger is free ! 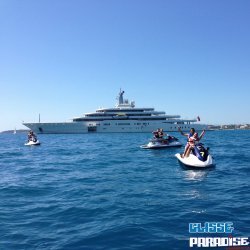 Guided by our Jet Ski instructor, this expedition will be a great opportunity to discover Antibes's famous port of Billionaires or Nice’s beautiful coast in the morning during an excursion… A delicious breakfast is of course included, starting at 9am. And, the second passenger is free ! Have a day filled with adrenaline with our jet ski and flyboard package. 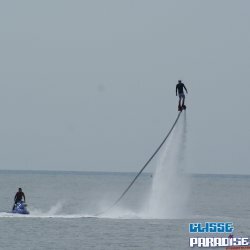 Drive your jet ski and fly away with the flyboard. 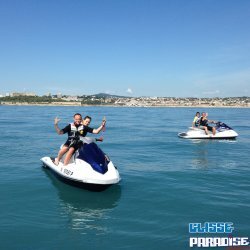 Between Nice and Antibes, on the French Riviera, Glisse Paradise offers nautical activities during your stay. 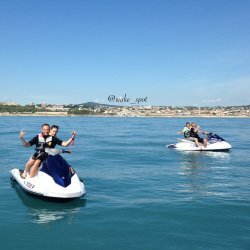 Unique offer on the french riviera, 20 minutes of jet skiing and 20 minutes of flyboarding.